The Arc Child Contact Centre provides a safe, friendly and neutral place where children of separated families can spend time with the parent they no longer live with and sometimes other family members e.g. Grandparents. The Centre provides toys, books and games and is run by trained staff and volunteers who are impartial and do not take sides. If you don’t not want to see your ex-partner, you don’t have to. Referrals can be made by solicitors, court, family mediation ,social services and in some cases self- referrals can be accepted. 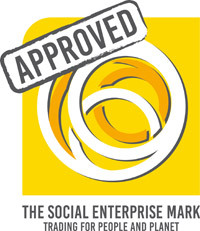 The Arc Child Contact Centre is an Accredited member of the National Association of Child Contact Centres. Many parents don’t realise that even if they are working, they may still be entitled to financial help. Whether it’s a first-time parent wanting to know what support is available or someone considering altering their hours of work, our team of experts will be happy to work out what’s best for each individual…. Fermanagh Rural Community Network wish to invite you and / or other group representatives to an Information Session on this project and establishing a Community Forum..